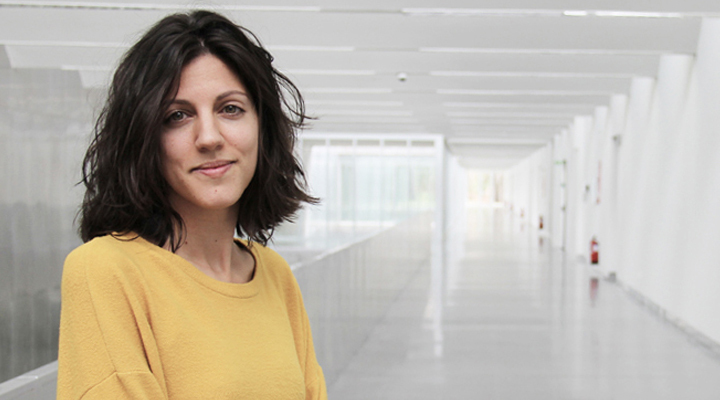 This time we introduce you to our colleague Manuela. This Telecommunication Engineer and Doctor in Telematic Engineering -whose parents are from Zamora- was born in Barcelona, raised in Ourense and now lives in Vigo. Currently, Manuela is the technical manager of Human Generated Data Analytics (HGDA) in the area of Intelligent Network Systems (INetS) at Gradiant and although she admits that almost all her free time is devoted to her family, she loves to practice yoga, photography, visit new places and learn deeply about something different that interests her in particular. She now confesses that the thing is “between biomechanics and raising”. I don’t remember thinking about any particular profession, but I was always interested in how everything worked, especially the human body. In fact, I was doubts until the very last moment between medicine and ‘teleco’. I chose technology out of curiosity about what was to come. When I started the career, Internet was still becoming popular. To be honest, it was clear to me that I was going to do it in Vigo, because of its proximity. I am currently focused on the business development of Human Generated Data Analytics (HGDA) line, where we research and develop Natural Language Processing technologies in order to obtain interesting information from texts generated by people. I like to manage the team, collaborate in line strategy and participate in research and design of new technological solutions. I don’t have any in particular, but if I had to choose a feminine referent connected with technology -although not technical- I would say Susan Wojcicki for having a successful conciliatory career and for her work to promote gender equality. What would you say to the technologist of the future? Sentidiño (in Galician language: have common sense).